Shannon Parsons - Get A Klu, Inc.
Get A Klu, Inc. is proud to welcome Shannon Parsons as our Chief Transformational Officer. 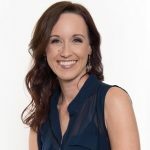 Shannon is an Intuitive Life Coach, specializing in helping her clients harness their inner motivations to increase business performance and improve personal relationships. With a focus on growth mindset and emotional intelligence, Shannon helps her clients transform their lives from the inside and reach their full potential. Known as “The Coach’s Coach,” she does this by combining intuition with strategies, systems, and processes to create the appropriate foundations that lead to sustainable growth. For professionals ready to make a bigger impact and grow their income to families who desire more quality relationships with each other, Shannon’s nurturing spirit and front-site focus on goal achievement are the backbone of her coaching success. As part of the team of Get A Klu’s Team of Consultants, Shannon’s insightful solutions enhance our ability to serve you both personally and professionally!